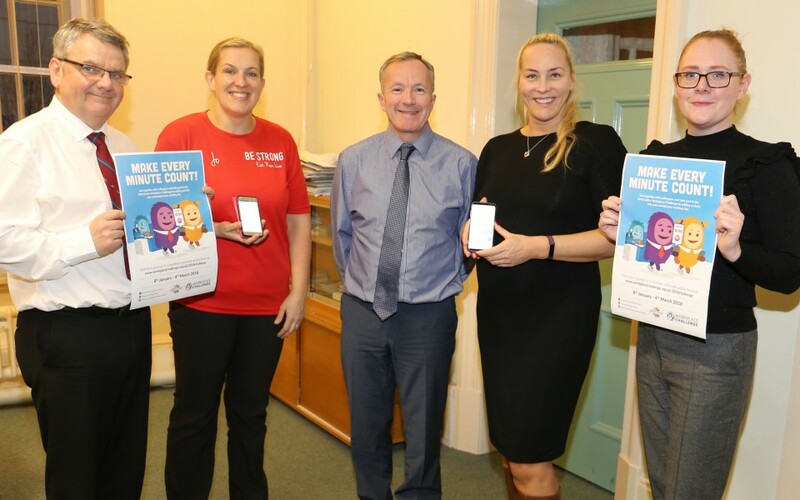 Chief Executive Harry Catherall (centre) with some of the Blackburn with Darwen Council staff who have signed up to take part in the campaign: (l-r) Paul Barnard and Joanna Burtonwood from Environmental Health and Beth Wolfenden and Jodene Bibby from Public Health. In a bid to combat this, the national ‘Workplace Challenge’ has been launched. The focus of the campaign is on encouraging bitesize chunks of activity and workers to step away from their desks and out of the office during the lightest and brightest part of the day. Blackburn with Darwen Council and local partners are backing the campaign and challenging everyone to walk, jog, run or cycle one mile each day, or for ten minutes, during the eight-week period. 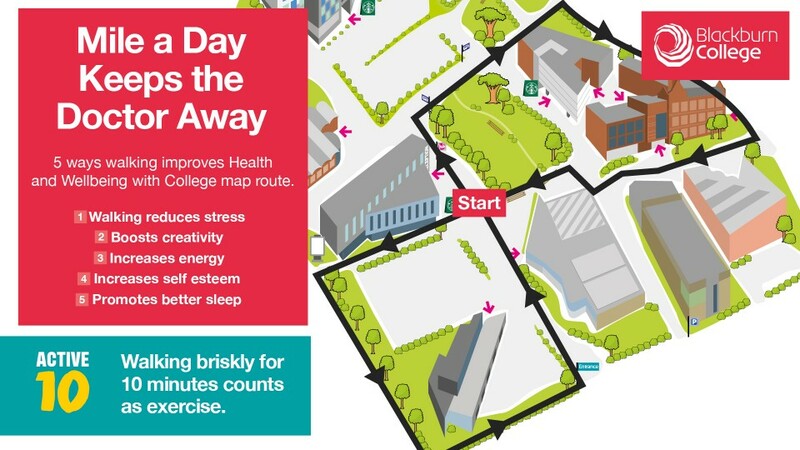 As part of its own active challenge, Blackburn College has mapped out a mile-long route around campus that everyone is welcome to follow. And alongside an increase in physical activity during the campaign, when buying food for lunch or for that special meal out you could also try a healthy choice from one of the local businesses holding the Recipe 4 Health Award. Recipe 4 Health awards are given out to restaurants, schools and takeaways helping people to make healthy food choices. We’re all guilty at one time or another of staying at our desks over lunch, or working late in the office to meet a deadline. However this does contribute to a worrying trend of inactivity amongst the working population. Many of us aren’t getting the recommended 150 minutes of exercise in a week – and it’s having a serious impact on our mental and physical health. The 2018 Active Workplace Challenge is about giving people the support and inspiration to get up on their feet and bring physical activity into and around their working day. You can visit the Workplace Challenge website and track your activity throughout the eight-week challenge, comparing activity levels to other participants and organisations across the borough and the rest of the country. The campaign will finish on March 4.